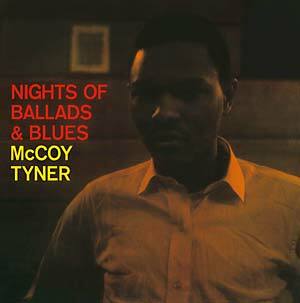 Doxy present a reissue of McCoy Tyner's Nights Of Ballads & Blues (1963). "As the title implies, this McCoy Tyner release is a low-key, after-hours affair. Far removed from the intensity of work with then-boss John Coltrane, Tyner stretches out on a fine mix of standards and bebop classics. The pianist, of course, always had his own fleet and rich way with ballads, in spite of the galvanizing marathon solos he became known for on live dates and his later experimental recordings with Coltrane. His ballad style is even touched with a bit of sentimentality, which thankfully is kept in check by a bevy of tasteful lines. Backed by the top-notch rhythm tandem of bassist Steve Davis and drummer Lex Humphries, Tyner finds the room to develop classic statements on highlights like Monk's ''Round Midnight', Ellington and Strayhorn's 'Satin Doll', and Parker's 'Star Eyes'. 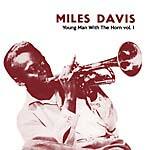 Ballads & Blues qualifies as one of the pianist's most enjoyable early discs." -- All Music. 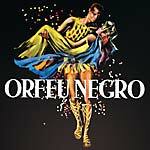 Numbered first press, edition of 500.